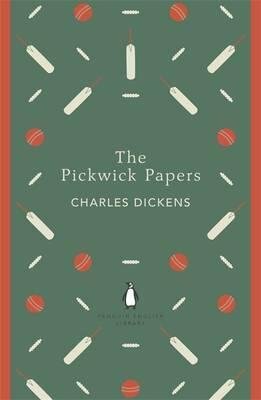 This is the "Penguin English Library Edition" of "The Pickwick Papers" by Charles Dickens. 'The fat boy rose, opened his eyes, swallowed the huge piece of pie he had been in the act of masticating when he last fell asleep, and slowly obeyed his master's orders'. Few first novels have created as much popular excitement as "The Pickwick Papers". Readers were immediately captivated by the adventures of the poet Snodgrass, the lover Tupman, the sportsman Winkle and, above all, by that quintessentially English Quixote, Mr Pickwick, and his cockney Sancho Panza, Sam Weller. From the hallowed turf of Dingley Dell Cricket Club to the unholy fracas of the Eatanswill election, via the Fleet debtor's prison, characters and incidents sprang to life from Dickens' pen, to form an enduringly popular work of ebullient humour and literary invention. "The Penguin English Library" - 100 editions of the best fiction in English, from the eighteenth century and the very first novels to the beginning of the First World War.